If you’re looking to build credibility for your business, you probably know that white papers are a highly appealing way to get the word out. What is a white paper? The short answer is that a white paper is a document that answers a question or advocates for a specific position. In the internet age, these questions might be something like “what is the most popular content type to share online?”, or “how can I use on marketing automation to increase my leads?”. 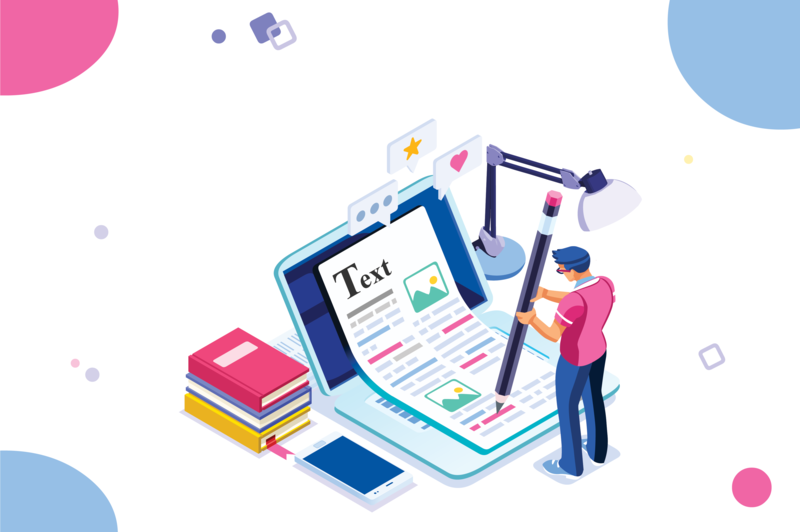 A white paper is longer than a blog post but shorter than an ebook, and the fact that they can go into great depth makes them a popular way to share information. So, if you've decided that a white paper is the right step for your firm, here is how to write a one. What does this audience need? Which of their problems can you solve? Why should they trust your solution over someone else’s? If you’re in business, you’ve already asked and answered these questions, so you can adapt those findings in order to write your white paper. A good white paper will provide information that your readers can’t get elsewhere. 2. Why a white paper? Different mediums work better for different things, and a white paper is no exception. For instance, a blog post is a good fit for a single case study, because you can discuss one example without diving too deep. An ebook, on the other hand, is better suited for looking at a subject from all angles—you can bring the reader in with a broad overview and then really get into the history. In the case of an ebook, you can be more personal, too, since it’s customary for an author to have a recognizable voice. And so on. Images and distinct segments keep a long piece of text more interesting, as well as helping structure it and convey information. A good white paper can bring depth and complexity to an issue that you can’t get in other formats. As far as basics, one of the main things that separates good writing from bad writing is this: with good writing, every sentence (or close to it) will flow logically into the next. Few things are harder on a reader than having to figure out why they are reading a given sentence. A clear progression comes from having a clear idea what you’re articulating, which you established at the beginning. An outline makes writing a white paper easier. Some basics rules of journalism can be helpful, too. When writing a news story, a reporter uses a model that places the most important information at the beginning and then fleshes that out with details. The editor writes a headline that summarizes the article, telling the reader exactly what they’re going to get. All of the article is important—information that’s not relevant enough gets cut—but a reader can understand the sense of it by reading the first couple paragraphs. A white paper will look much the same. A reader who only reads the first page or two should be able to grasp the substance of your case, and then the rest will elaborate on that. The title should tell the reader exactly what they’re getting, in a clear and attention-grabbing way. A good white paper will be the product of thorough planning. People can tolerate ads, but no one wants to go out of their way to read a book-length advertisement. If a prospective customer has taken the time to download your white paper, it’s because they want information, so they’re going to stop reading if it’s too promotional. Your white paper is a place to present information that’s going to solve their problems. So that means it’s an appropriate place to discuss things like successes with previous clients, as long as it’s in the context of showing how past work has informed your current expertise. It’s even an appropriate place to discuss previous failures, as long as you explain what you learned from those failures. So a white paper is an appropriate place to show your best face, as long as it’s not too promotional. A good white paper will convey expertise with great information, rather than a promotional tone. It’s inevitable that there will be minor mistakes in any piece of writing that’s long enough, but you can reduce the number of errors by having at least one other person proofread it. A proofreader will double-check that everything makes sense, nothing is too long or digressive, and catch things that you missed. Accuracy is important, and it speaks to the writer’s general competence and authority. A white paper differs from a blog post, too, because you can catch a mistake on a post and edit it. Once a reader has downloaded a white paper, any errors in that draft are there for good. Make sure that it’s perfect (or close to it) when you first post it. A good white paper will be exceptionally edited. Although your white paper shouldn’t be promotional, you should conclude it by explaining how your firm can help. Make sure that you’re ready to follow through on this promise. Your white paper has taken a lot of work, so publicise it through your social media channels. You can (and should) be answering questions on forums like Quora, and this is a good place to promote your white paper. Your white paper will be professional, rather than promotional, but now that you’re done, it’s time to get the word out. A good white paper will be widely read, and you’ll have to promote it. This should give you a clear idea of the steps you’ll take to write a white paper that will be appreciated and shared. If you still have questions, we’re happy to help!